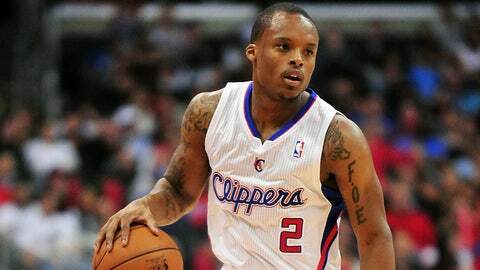 The Clippers released backup point guard Maalik Wayns on Sunday, the team announced. Wayns, 22, was on the active roster for the last three games with the Clippers, but he didn’t play in any of the games this season. Wayns had surgery on his left knee and still hadn’t returned to playing condition. He appeared in six games last season with the Clippers, averaging 3.3 points and 1.2 assists a game. The Clippers currently have 14 players on their roster. That means they can now sign another player, something Clippers Coach Doc Rivers said the team probably would do because All-Star point guard Chris Paul will be out three to five weeks with a separated right shoulder. As of now, Darren Collison is the Clippers’ only point guard. Jamal Crawford, normally the sixth man but now the starting shooting guard while J.J. Redick recovers from a broken right hand and torn ligaments on the side of his right wrist, is the backup point guard.